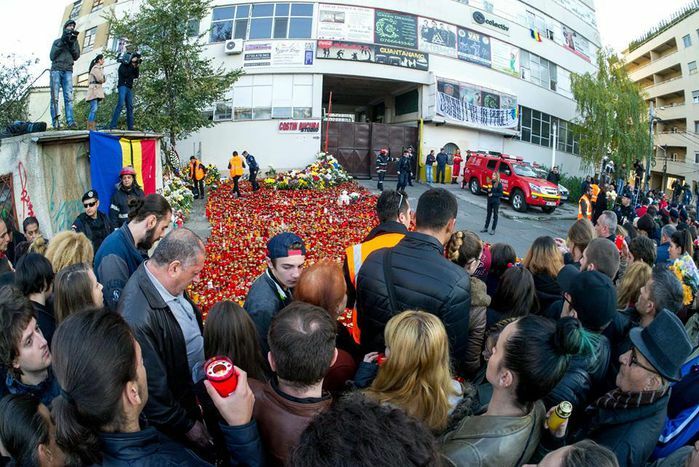 On Friday 30 October, as hundreds of spectators were attending the concert of the metal rock band Goodbye to Gravity in a club in the Romanian capital, a fire spread in a few minutes, killing 32 people and seriously injuring 180 others. The consequences of this disaster will have a significant impact on the Romanian society. On 1 November, thousands marched on the streets of Bucharest in support of the families of the victims of the Colectiv Club fire which had occurred two days earlier. In a macabre coincidence, on the same day, France remembered its 150 victims of the 5/7 fire which had occurred 45 years before. The "tragic ball" happened in similar circumstances: a rock band on All Saints' Day, inflammable and toxic polystyrene covering the walls, a club opened without legal authorisation, a single exit fitted with turnstiles while the others were blocked in order to prevent club-goers from entering without paying. A French doctor sent to Bucharest stated that he "had never seen such a situation in 20 years of his career". This was because, after the 5/7 catastrophe, drastic rules were imposed in France and checks became more regular. Many venues had to close down. No doubt the same thing will happen in Bucharest, where night clubs and bars have mushroomed these past few years, especially in unexpected places such as disused factories, cellars and old buildings where the night never ends. People enjoy the feeling of freedom, that everything is possible. Except that the cocktail can be deadly. 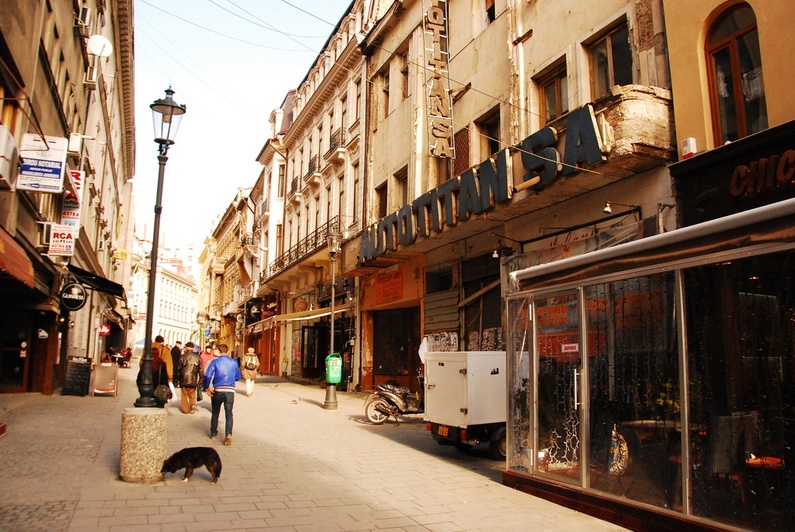 As it happens, the boss of Expirat, one of the oldest clubs in Bucharest, has had no hesitation in announcing his resignation: "Since 2003 I have been putting the lives of thousands in danger. [...] We have had plenty of electrical problems these past few years and a lot of the repairs were improvised. [...] The Expirat of Bucharest is closing." Other clubs were suspended following checks. The Rockstadt in Brașov announced it would close for 10 days to replace its polystyrene - the same one that caught fire at the Colectiv Club. Others are also demanding that smoking be banned from bars and clubs. After this terrible tragedy the search continues for those responsible. The first ones to be investigated are the club founders, who in 2013 applied for a licence to open a venue with a maximum capacity of 80 seated people. 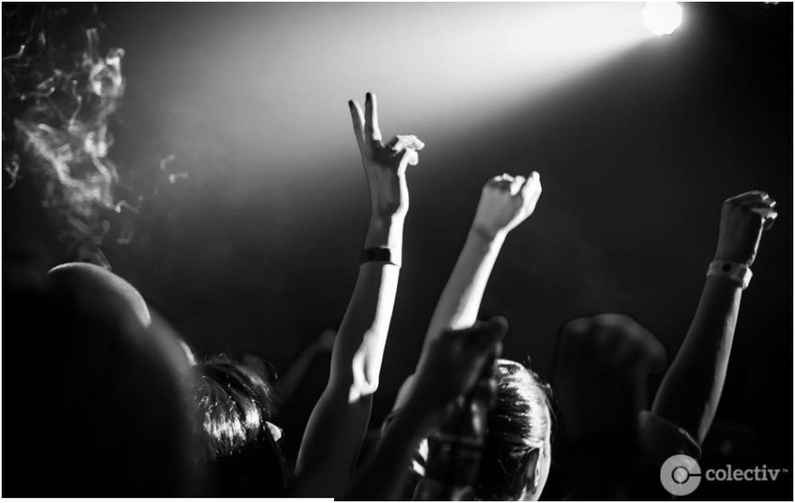 According to Lucian Bălănuță, a journalist with Radio Iași, "commercial venues can get authorisations more easily if their capacity is under 100 people. That is what the Colectiv Club owners applied for. This way they could avoid certain administrative constraints and especially bigger fees. It meant that they didn't need an authorisation from the fire service, the safety of the venue was the owner's sole responsibility." Except that, on that Friday night, 400 spectators attended a concert that included a pyrotechnic display, which the band members or the emergency services of Bucharest had not been warned about, and in a highly flammable venue to boot. They are not the only ones to disregard regulations since fees are high and checks remain superficial. The last inspection at the Colectiv Club had taken place on 21 October. "They had been fined because the staff was not qualified enough," explains Lucian. There was no mention of the lack of extinguishers or of the common practice among many clubs to block their emergency exits to stop people from entering without paying. The Romanians are very angry about this negligence. "This deadly chaos must end in Romania" reads the headline of a newspaper article. The Church, the second power in the country, has also been targeted by the protests since it receives more subsidies than hospitals and schools. "Vrem spitale, nu catedrale !" ("We want hospitals, not cathedrals!") has been posted on social networks. A huge cathedral that will overtake the People's Palace (Ceaușescu's megalomaniac folly) will be erected on the same land in the next few years. Millions of lei are being spent on it while Bucharest's hospitals are in dire need of staff and medical equipment. After the fire, some of those injured had to change hospitals because there were not enough beds, while doctors, whose salaries are barely higher than the national average wage, worked voluntarily. The anger of many is centred around the country's number one enemy: corruption. The phrase "corupția ucide" ("corruption kills") is spreading. It is what poisons the country's political and economic sphere at all levels, making people turn a blind eye to failures to observe regulations as clubs bring a lot of money to the local councils. It is also corruption that stops Bucharest's buildings and roads from being renovated, or doctors and teachers from receiving a fairer pay. And yet, every tragedy has its positive impact as it raises awareness and alerts public opinion. "This had started shortly before Roșia Montana," explains Raluca, a young inhabitant of Bucharest, "and this event has further reinforced the protests and will have an enormous impact at all levels: political institutional, social." She intends to set up a Facebook page where people will be able to ask for things they need (food, money, clothes, etc.). Despite bigots blaming the victims for the tragedy because they listened to "Satan's music", a huge surge of solidarity and generosity is being felt throughout the country. Thanks to social networks, blood and money donations have increased while companies have provided free food to the victims' families waiting in hospitals. For Raluca and other Romanians "this wave of solidarity is without precedent in Romania." She hopes it will last.